Stillio is a webservice that provides automatic daily screenshots of web pages. Great for conversion rate optimization (CRO), SEO and website archiving. This tool is amazing, very simple to use, and you will gain a lot of time using it. The main feature is for me the way they connect to dropbox. With third party you can also connect to Google drive for example. You can add URL in bulk so it's very easy ! The support team answer very quickly and give very usefull advice. We did not dislike something, the tool is simple. maybe a chat on the website ? gain of time, user effectivness. Very easy to capture screen informations. Being able to schedule and archive quality screenshots automatically saves us a lot of time & money. The easy way of getting a good view on valuable insights in the development of the sites we are creating. We like to offer good quality screenshots to our customers and this app takes care of that. We use the API to embed screenshots in our own customer portal. For now it is only possible to fetch screenshots & URL data from the API. It would be better if we could also add URLs and make changes through the API. This could be a future option in the premium program. Being able to capture and archive screenshots automatically saves you lot of time/man hours & money. More quality and features than most competitors. The app is very easy to use and has a state of the art UI / UX. Any schedule is possible at any frequency. Taking screenshots regularly helps you convince your customers. Our full-service digital agency has numerous websites under development and therefore as many customers with whom we simultaneously communicate continuity. In the alternating continuous iterations, we use screenshots for evaluation moments with our clients. Captured screens are generated consistently by the Stillio app. This has made both our workflow and our communication with the client much more efficient. Customers can always rely on our archive, in which we have chronologically archived the development of their websites. What Website Screenshot solution do you use? I like to track changes that competitors have made to their websites I wouldn't have otherwise noticed. FireShot helps users capture web page screenshots, perform quick edits, add text annotations, and save the capture as a PDF or image file. Urlbox is a REST API software that automate the process of capturing website screenshots on own product by defining URL & choose from a whole host of customisation features, and the API will return a high quality PNG or JPEG image of desired website. ShrinkTheWeb allows users to capture website screenshots. Users can capture, crop, shrink, save, upload, and display them, automatically, with a screenshot plugin or single line of code. ScreenshotsCloud is an automated website screenshot API. VisualPing is a website checker and webpage change monitoring solution. GrabzIt specializes in providing various web data capture services to our customers. GrabzIt web scraper makes it possible to extract data from the web pages and PDF documents and transform it into a easy to use format. WebSite-Watcher is a powerful yet simple website-monitoring tool, perfectly suited to the beginner and advanced user alike. This software places you in complete control over what gets checked, when it gets checked, and even how you are notified. Screenshot Guru, available at screenshot.guru, lets you screen-capture beautiful and high-resolution screenshot images of any web page on the Internet. You can screenshot tweets, news articles, photo galleries and everything that's public online. PagePeeker enables users to generates screenshots and thumbnails from web pages. * We monitor all Stillio reviews to prevent fraudulent reviews and keep review quality high. We do not post reviews by company employees or direct competitors. Validated reviews require the user to submit a screenshot of the product containing their user ID, in order to verify a user is an actual user of the product. Hi there! 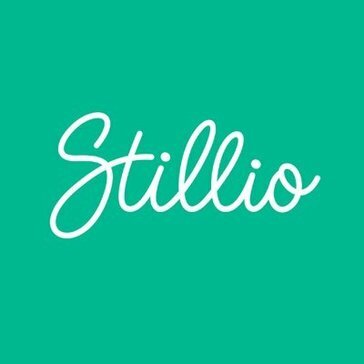 Are you looking to implement a solution like Stillio?